The online business landscape is in an almost constant state of flux. With so many changes it can be hard to keep up with the latest developments – especially if you’re a small business owner who has to juggle a range of different tasks. Unfortunately, this means that while you’re focusing on the day to day aspects of making your company a success, the landscape can shift in a way that makes your business less competitive than it should be. This is what has happened in the world of internet advertising and it’s a shift that has affected all online businesses – regardless of whether they spend money on online ads. Let’s look at the way the world of internet advertising has changed, the impact it has had on businesses and what you need to do to make sure you’re on top of things. We’ll start with the company that’s the driving force behind most of these changes – Google. There was a time when ranking top of Google for the right keywords would guarantee a steady stream of potential customers to site. That’s now changed. Although having the highest organic listing for a keyword on Google is still desirable, it’s nowhere near as it once was. Feel free to experiment with a few queries of your choosing to see just how many keywords are dominated by ads and special results, to the detriment of organic results. In fact, research from Wayfair shows that between 2015 and 2017, click through rates for organic search results on the first page of Google dropped by 25% for desktop users, and 55% for mobile users. Put simply, this means that although the search engine rankings may be the same, fewer potential customers are visiting a site. From Google’s point of view, this isn’t exactly surprising – it makes all its money from adverts. However, from your point of view as a business it means that you now have to give serious thought to using Google’s ad system, even if it was something you had previously ignored. As well as increasing the visibility of ads, Google has also introduced a range of new features called “extensions”. These extensions include things like including a “call” button in an ad, meaning that someone can phone direct from a mobile ad without even having to visit a business’s website. Then there’s the location extension, which allows people to click on a link to bring up directions to a business’s physical locations. That’s just a couple of examples from the wide range of extensions that are available, but you can see how they can be used to encourage people to interact with ads instead of organic results. It’s not just Google’s “traditional” search results that are increasingly dominated by ads. Other Google features that were once completely free now feature adverts, or may require payment for your site to be included. That means you’re likely to see ads in Google Maps and Google Images, while you need to pay to be included in Google Shopping (formerly Froogle) at all. 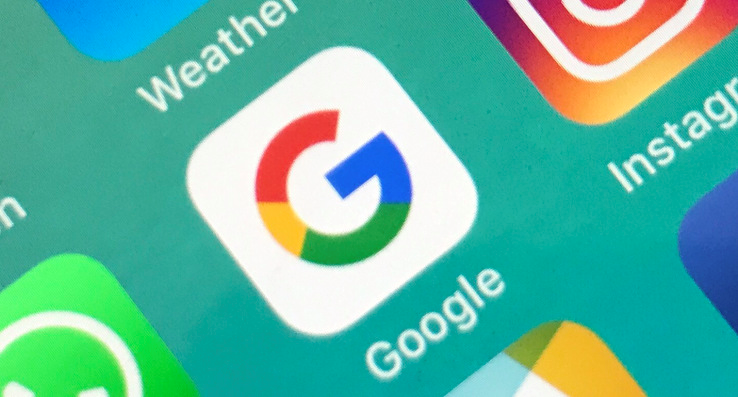 Again, this is another example of how it is becoming harder to attract potential customers via Google without having to pay the search engine giant. It’s highly unlikely that you’d be able to watch a YouTube video without seeing an ad these days. The video service is owned by Google and offers a huge range of advertising options. Then there’s Google’s display advertising network. This allows businesses to show ads on third-party websites that have signed up for the network in return for revenue. This means that there are a huge number of ways for your business (or your competitor’s business) to be seen across the web. That means there are more ways for you (or your competitor) to attract the attention of a potential customer. Although Google dominates online advertising, it isn’t the only platform out there. Perhaps its biggest rival is Facebook, which allows you to create social media ads across its service, and also has its own display advertising network. Facebook doesn’t quite have the reach of Google, but it can be a very useful way to get your business seen. Those looking to target professionals with their advertising may wish to look into LinkedIn’s platform. Twitter also offers its own advertising platform, which may be of interest to some businesses. Again, there are more potential battlegrounds for you to fight for valuable attention. In the past, the only way to target your adverts was based on the keywords people were typing into Google. That’s now changed. Ads can be targeted based on things like user location, whether they’ve visited your site before, and demographics such as age or gender. If you use Facebook ads, you’ll find that you can even target potential customers based on their interests. Changes to the ways that adverts can be targeted make it even easier for businesses to pinpoint potential customers and show them timely, relevant ads that will increase the chances of them making a purchase. So what does all this mean for my business? Once, it was possible to run a highly successful online business without spending a penny on advertising. Those days aren’t over just yet, but they do appear to be drawing to a close. The fact is that many of your competitors are probably using the kinds of ads we’ve mentioned above and if you’re not they may well be taking customers away from you. Even if you’re happy with the number of customers you’re attracting without advertising, be aware that a change to the way Google does things could hit you in the pocket when you can least afford it.